Martin Hill is passionate about family! He loves to spend time with his wife Caroline, his two sons, Jackson and Preston, and his daughter Campbell. He is also passionate about creating new homes that reflect the way individuals live, work and play. Martin began in the building industry in 1997 working on a commercial framing crew, but in 2000 he started adding onto his personal home, which lead to a love of construction. He co-founded Gephart Hill Building Company with a good friend which operated for 15 years. He created Hill Building Solutions in 2015, focusing on each individual project with the client’s needs in mind. 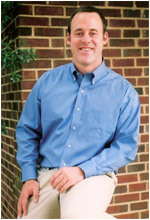 Martin is a native of Raleigh, and received a degree in business from Elon College in 1995. Martin spent the summers during college working at YMCA summer camps, and after graduation, he spent three years working at various guest ranches in Colorado. Upon returning to Raleigh, he obtained his NC Real Estate license and now helps clients achieve their goals of owning and creating homes of their own!